Too Much Fun with Richard Renner! "Old Fashioned Buffonery at it's best! 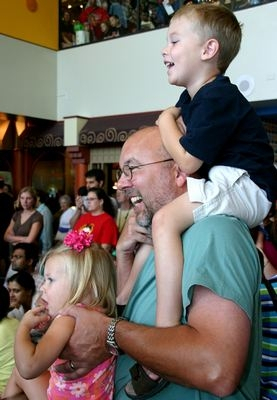 A delightful mix of sophistication and silliness"
Actor, Juggler, Orangutan, Poet and Fool all describe Richard Renner as performs his special brand of humor. Whether juggling, unicycling, ropewalking, or creating a zany improvisation, Richard performs with unbounded energy and skill. He has spent years and a small fortune studying with such teachers as Marcel Marceau - the French mime master, Yuri Belov - a famous Russian clown, and Avner the Eccentric - the famous New Vaudevillian. He is comfortable entertaining a crowd of on or one thousand in any setting. Whether roving or on stage he creates an excitement and visual spectacle hard to forget. All together his performances are marked with laughter, smiles and participation as he uses all he has learned to make us laugh and discover the love of laughter in us all. A one man stage show of 30 to 45 minutes featuring Richard Renner as the VodVill Klown performing circus skills and pantomime techniques. A completely silent act, except for the occasional scream, Richard entertains with physical comedy, prat falls and circus skills. Objects attack, machines refuse to work and all the failures ultimately lead to succes as The VodVill Klown explores the possiblities of circus skills in the real world. 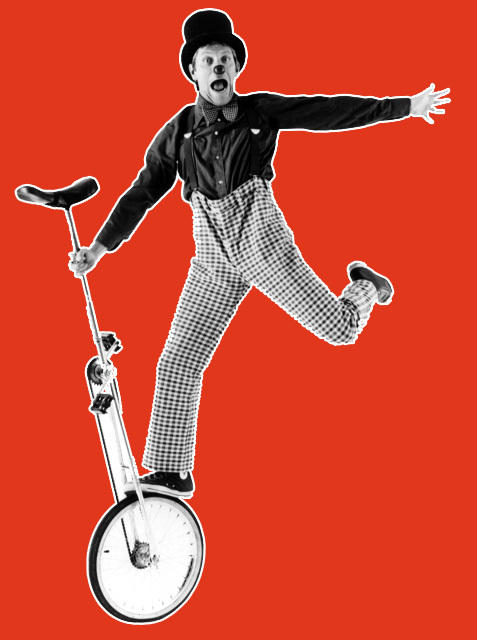 Unicycling with motors, balancing with cleaning equipment and band music with hardware supplies are some of the surprise your audiences will see in "The Slapstick Circus"! 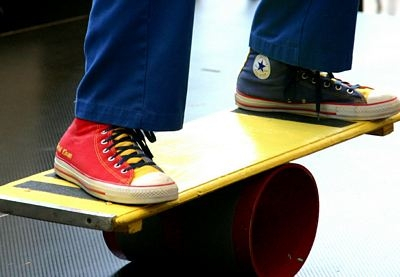 This show is perfect for outdoor festivals and school assemblies because of it's limited technical requirements. Richard also offers it as a street show combined with strolling in a special festival package. 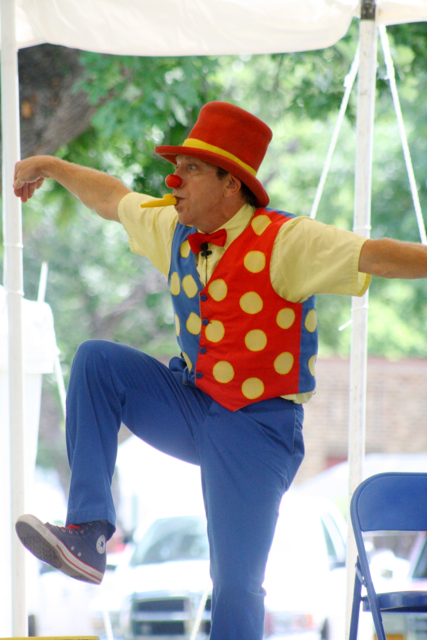 One of the America’s most beloved clowns brings his talents to illustrate the Joy of Reading. Through his well crafted comic characters we take a tour of the library and share their favorite books. Each character brings the book to life with Richard’s circus skills. There’s a pilot who shows them the proper way to fly a stunt plane, a bungling scientist who intorduces us to big words and a musician who gets the kids invovled as they learn to read music. These skits and more blend in together to give your students the thrill of reading a good book and the effect it can have on a lifetime of learning.